There are always products that just don't do what they say on the tin. Or do what they say on the tin but do it badly! Here are 3 products that I have not got on with at all in the last month. It's fair to say I feel like the actual devil for saying a bad word about Liz Earle. 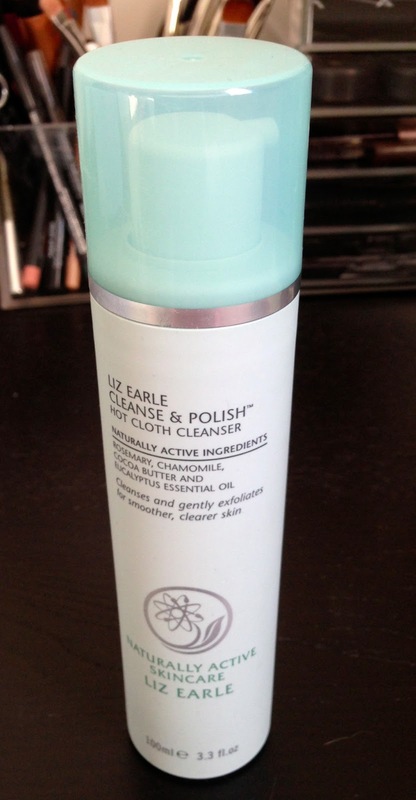 I have read literally hundreds of blog posts raving about this cleanser. But I have also read a few where Liz Earle seemed to have a a really bad effect on the skin-and I am one of the unlucky few. I was so excited to try this and was convinced this was going to be the Holy Grail of cleansers and I would be buying it like it was going out of fashion on my trips home to the UK in order to stock pile it. I was so convinced I bought 2 100ml bottles. I think everyone knows how this product works-apply to skin, wash off with damp muslin cloth. That's the first thing I don't really like-the idea of washing with a cloth seems to me like you're putting dirt you've taken off back onto your skin as it gets trapped in the Muslin. But I was happy to try it and the first night I used it was fine. The smell is quite strong but it was ok, it was erm, awakening! Which I didn't really want as I was going to bed but hey. The next morning I woke up to a horrific, deep routed, vulgar, massive red lump under my skin on my chin. And the next day another one appeared. And then another one. I was absolutely horrified. I tried to continue on, thinking my skin was 'adjusting' but after a week I could barely look at myself in the mirror and stopped using it. That was at the beginning of February and my skin is only just recovering. And it's a slow process as these lumps have scarred my skin on my chin. I have completely cut back my skin care routine so I don't cause any other inflammation or irritation and am currently just using a Shu Uemura cleansing oil I have used before which I know doesn't irritate my skin and Le Roche Posay Effaclar Duo. My skin is more under control now but still scarred so any recommendations to reduce scarring would be appreciated. It's still hard to say anything bad about Liz Earle and I know her cleanser really has beauty blogger Holy Grail status but its not for me. This was recommended to me by my best friend when I was back in the UK in September last year. I think I picked this up from Boots and it was newly launched. The first thing that annoyed me was there were no clear instructions on the package of how to use this product. I searched online and found a very cheesy home shopping channel style promo video showing how to apply it. Advertised as 'an eye lift in a tube' it aims to immediately lift the eye area, prevent further ageing, improve moisture levels and tackle short and long term anti ageing effects. It also claims to reduce puffiness, soothe tired and sore eyes and erase fine lines. A miracle product indeed. I can only describe this product as like putting glue under your eyes. When you first put it on (you sweep the doe foot applicator under your eye, then back again and then you sort of hold the skin taught for a few seconds as if 'lifting' the eye) you do feel a tightening and cooling effect. Great you think. But as it dries it goes sticky-it feels like glue setting around your eye. Like the residue you used to get when you removed a plaster you'd been wearing for a couple of days. You don't even want to blink for fear that your eyelashes will stick together. I found it to be a really uncomfortable sensation, enough to make me stop using the product. I found the only way to stop the horrible 'underside of a plaster' feeling was to then put another eye cream on top of the gel but then you're using double the amount of product which seems pointless. Every now and again, usually when I am running late I love pencil formulas for their ease of application. I own 2 of these chubby eyeshadow sticks-Sin and Midnight Cowboy. And you literally just scribble them onto your eyelid and then blend any edges with your fingers and away you go. But the problem I have with these is they are incredibly drying. They feel uncomfortable on my eyelid and they go very crusty and creased as well. The colours are fab but the texture is horrible. I would much prefer to use the powder shadow versions of these shades from UD-both of which I own in the Naked Palettes. If you do like the idea of these eyeshadow crayons then I highly recommend the Make Up Forever Aqua Shadow pencils-exactly the same concept but the formula is much gentler and doesn't crease or dry out-they're about the same price too. Would love to here your thoughts on these products-am I missing something? ?